Environmental watering triggered a surge in wildlife sightings at Lake Yando, a 83 hectare wetland 9 kilometres north east of Boort. More than 550 ML of water was delivered to Lake Yando from October 2014 to January 2015, turning the dried out swamp into a picturesque wetland. The main objectives of the watering were to give a much-needed drink to hundreds of red gum saplings on the lake's floor, encourage the growth of aquatic plants, as well as improve habitat for frogs, reptiles and birds to promote breeding. 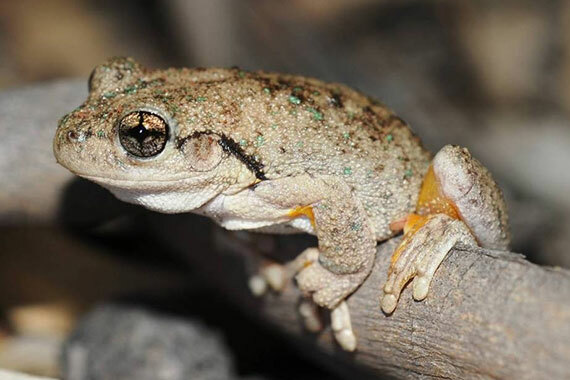 While community members reported their own sightings of rare and threatened species, official monitoring confirmed that, post-watering, wildlife diversity had been significantly boosted. Vegetation: 154 plant species were recorded after the watering including 97 local indigenous plant species (60 indigenous species were recorded prior to the watering). Mammals: swamp wallaby, common brushtail possum and the eastern grey kangaroo were all observed. Reptiles: boulengers skink, tree skink and lace monitors were spotted after watering. North Central Catchment Management Authority Acting Loddon and Avoca Catchment Executive Manager Greg Barber said the watering would have obvious long-term benefits for the lake. "This watering is really good news for the lake and nearby community," he said. "Not only has one of our main objectives been achieved in prompting hundreds of red gum seedlings to emerge, but conditions have been perfect for these rare and threatened wetland-dependent species to prosper."